The Human Rights Treaty Bodies are committees of independent experts who monitor the implementation of the core international human rights treaties by the States parties to these treaties. These bodies face numerous challenges in fulfilling their mandates as the number of treaties and state parties grow. Resolution on the Intergovernmental process of the General Assembly on strengthening and enhancing the effective functioning of the human rights treaty body system. The website of the Office of the High Commissioner for Human Rights is the best place to start your research on UN Treaty Monitoring Bodies. Here are some resources from the OHCHR that will help you in your research. Compilation of human rights legal instruments. Contains the jurisprudence of the UN Treaty Bodies. Full text ebooks. Search for keywords "Human Rights" and "Treaties." Full text of legal journal articles in Law Journal Library. Search the text for "Treaty Monitoring Bodies" and "United Nations." Includes contributions from present and former members of the treaty bodies, as well as other eminent legal scholars. 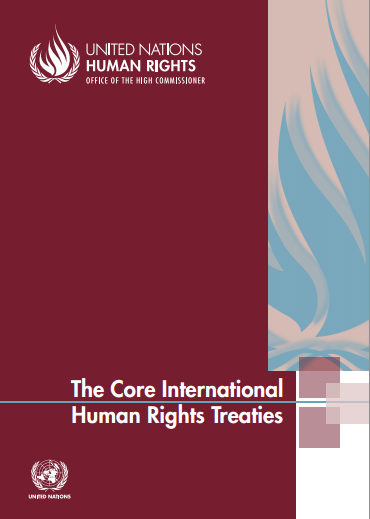 This guide examines the core UN human rights treaties that form the framework of international human rights law. It describes the development of each treaty, along with the substantive rights enshrined in them, and it analyzes the nature and functions of their respective monitoring bodies. A collection of essays written by top legal scholars addressing the challenges faced by the UN Human Rights system and possible reforms. This revised and updated collection is intended to serve as a thematic textbook on the institutions and procedures devoted to the national implementation of human rights and to the international monitoring of State performance. This book argues that the legalisation of human rights is an unplanned and evolving social construct, continuing under the managerial oversight of international human rights courts and treaty bodies. Abashidze, Aslan. "The Process of Strengthening the Human Rights Treaty Body System" Czech Yearbook of International Law vol. 5 (2014), 3-18. Bernaz, Nadia., "Continuing Evolution of UN Treaty Bodies System" in Routledge Handbook of International Human Rights Law. Edited by Rodley, Nigel S.; Sheeran, Scott. New York : Routledge. 2014. Available as an ebook. O'Flaherty, Michael and Claire O'Brien, "Reform of UN Human Rights Treaty Monitoring Bodies: A Critique of the Concept Paper on the High Commissioner's Proposal for a Unified Standing Treaty Body" Human Rights Law Review 7:1 (2007), 141-172. Pedone, Joanne; Kloster, Andrew R., "New Proposals for Human Rights Treaty Body Reform" Journal of Transnational Law & Policy 22: (2012-2013) 29. Morijn, John. "Reforming United Nations Human Rights Treaty Monitoring Reform" Netherlands International Law Review, 58:3 (2011), 295. Wakefield, Megan, "The International Human Rights Treaty System: Impact at the Domestic and International Levels" Human Rights Brief. 21:1 (Winter2014), 32-36. 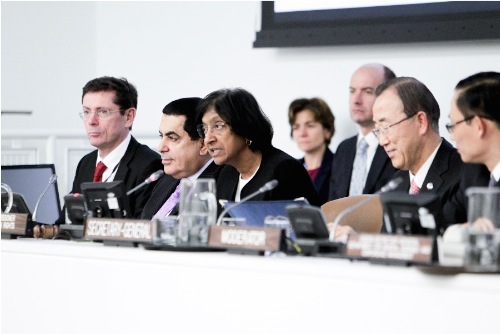 O'Flaherty, Michael, "Dublin Statement on the Process of Strengthening of the United Nations Human Rights Treaty Body System," Netherlands Quarterly of Human Rights 28:1 (2010)116-127. Current and former members of UN human rights treaty bodies adopted the Dublin Statement in a process convened by the Human Rights Law Centre of the University of Nottingham.